Yes, this is the best thing I’ve seen so far from the warehouse developer. I was doing some research into the time line for this project and came across this … at first I was dumbfounded, then I started laughing. This is priceless and just adds to the idiocy the developer has shown in proposing a warehouse at the “actual” location. The above highlighted link no longer works as the developer pulled everything down in February 2017 – about the time that the Krumsville Residents got wind of this project and the sketch plan was finished being reviewed by Keystone Engineering Consultants. 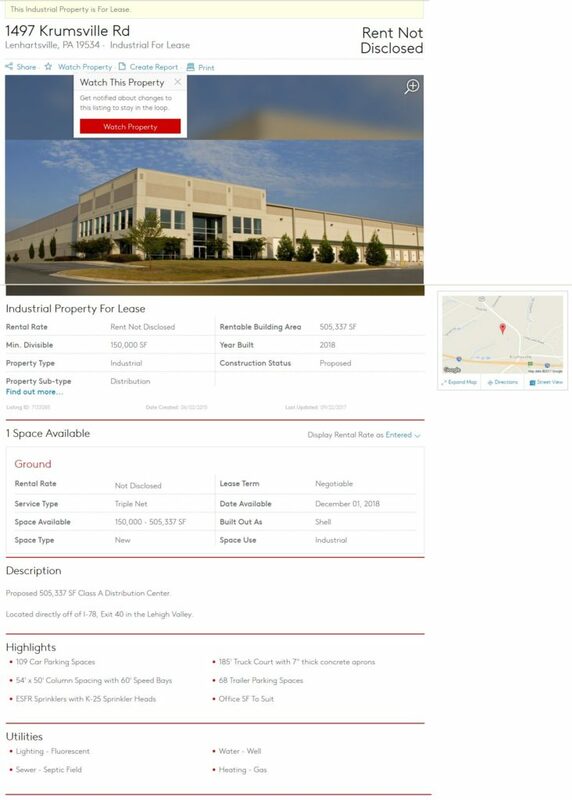 Then in April 2017 the developer reposted their advertisement, with updated stats based on the new preliminary plans … and they are using an incorrect address … look at the address … I wonder if the poor soul that lives in that home knows they’re building a warehouse on top of their home (chuckle) and using their address to mislead potential tenants about the ease of access from I-78 to the warehouse property. YES! 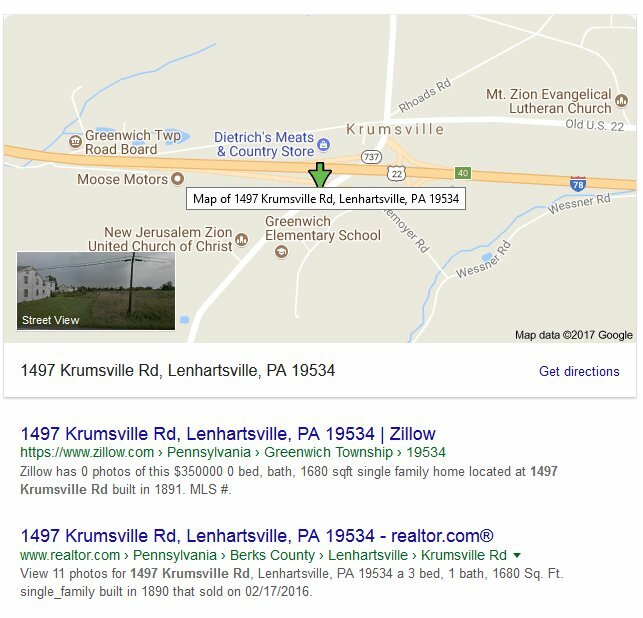 Because they state that they are directly off I-78, which is incorrect … they are north of I-78, through a small town and a residential area. And also take note that the plans are stating one thing, and the advertisement is stating something completely different. I would like to know where the gas heating is coming from as we do not have gas lines out here. Does this mean they’re bringing in huge propane tanks to heat the warehouse? Great, and when the tanks explode, all of Krumsville will be annihilated. OH WAIT!!!!!!!! 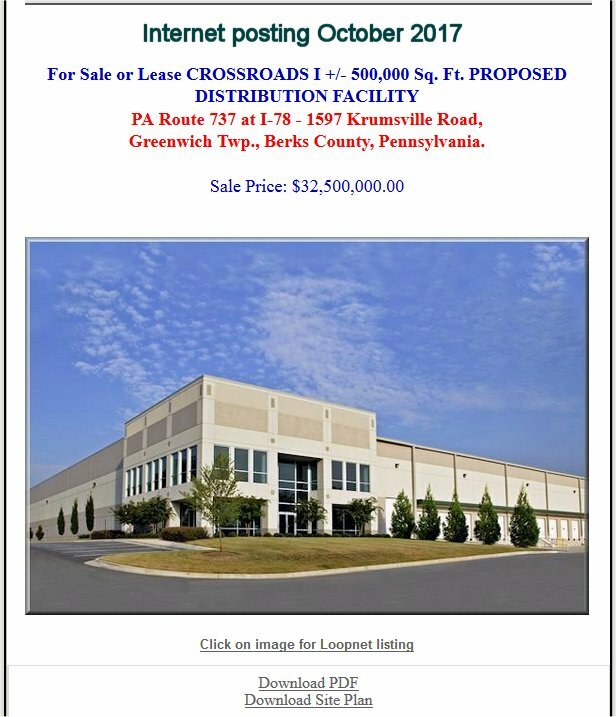 I invite potential leasers of this warehouse to view these videos when I-78 has a detour on Old 22. Because this is certainly going to affect that distribution center’s Class A rating as their time in and time out will get thoroughly FUBAR. And these are just the ones we captured on video. There were several we missed. There have been eleven (11) I-78 detours through our intersection from January 2017 thru September 2017. Oh, let’s talk about our town’s electric, which is always in a state of brown outs and fluctuation .. and will go out for hours when there is a big storm. How will the warehouse lessee like those generator gas bills? (GASP) I forgot about winter. Let me find some pictures. 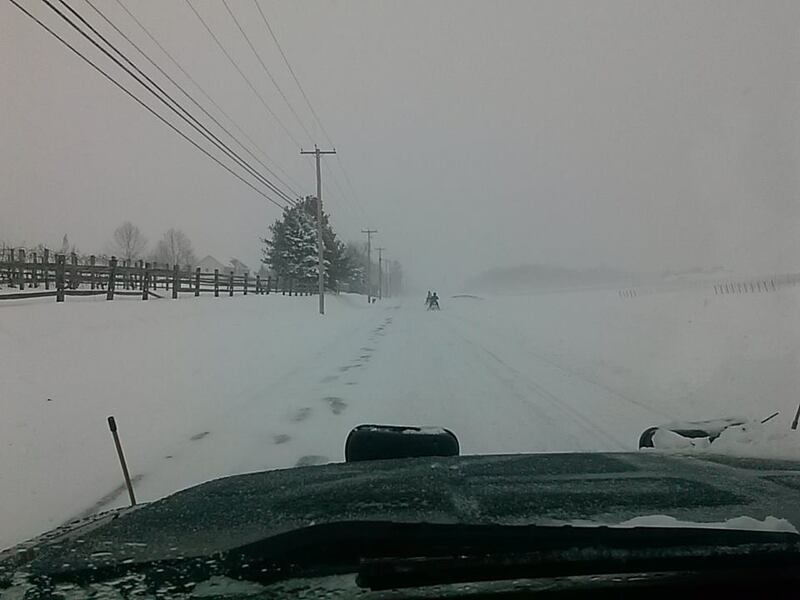 old 22 and Rt 737 are last on the list of plowing for the state as they have to keep I-78 moving free. I have many pictures of me plowing our intersection just so I can get out to my own plowing customers. This developer did not do their homework on where to build a warehouse. Nope, no they didn’t. And I hope that any lessee or purchaser does their homework before paying this price. I bought a lotto ticket this weekend, if I win, I’ll buy it. Now what can I do with a huge monstrosity of a warehouse??? Suggestions?? ?